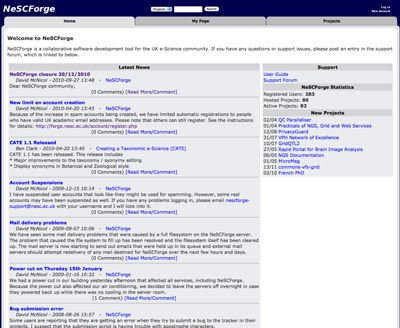 creating and managing projects on SourceForge. Hopefully, these will be useful for those of you looking to migrate projects to a new home. It's a timely reminder that you need to be aware of risks and react quickly when change is required to ensure software sustainability. Nevertheless, as long as you keep your community on board for the ride (for instance, like the UK NGS software team) having to change repository should just be an inconvenience, not life-threatening to your software.